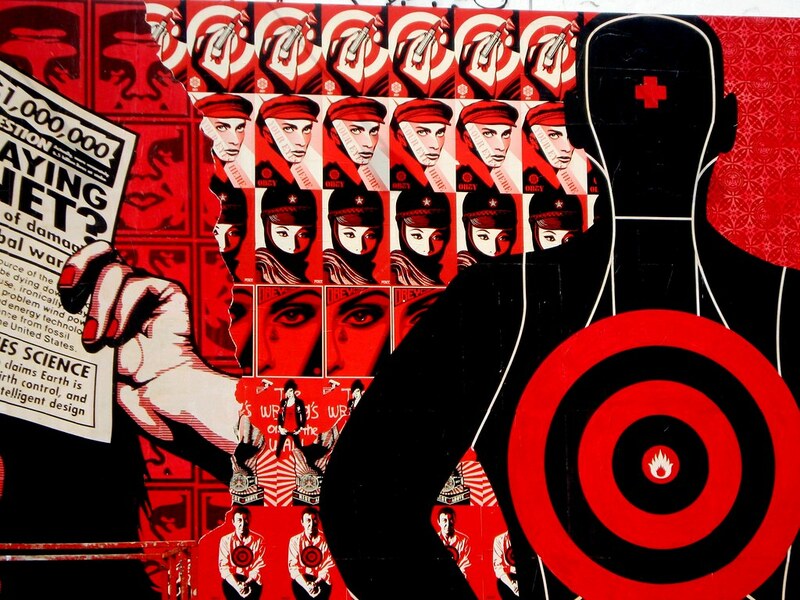 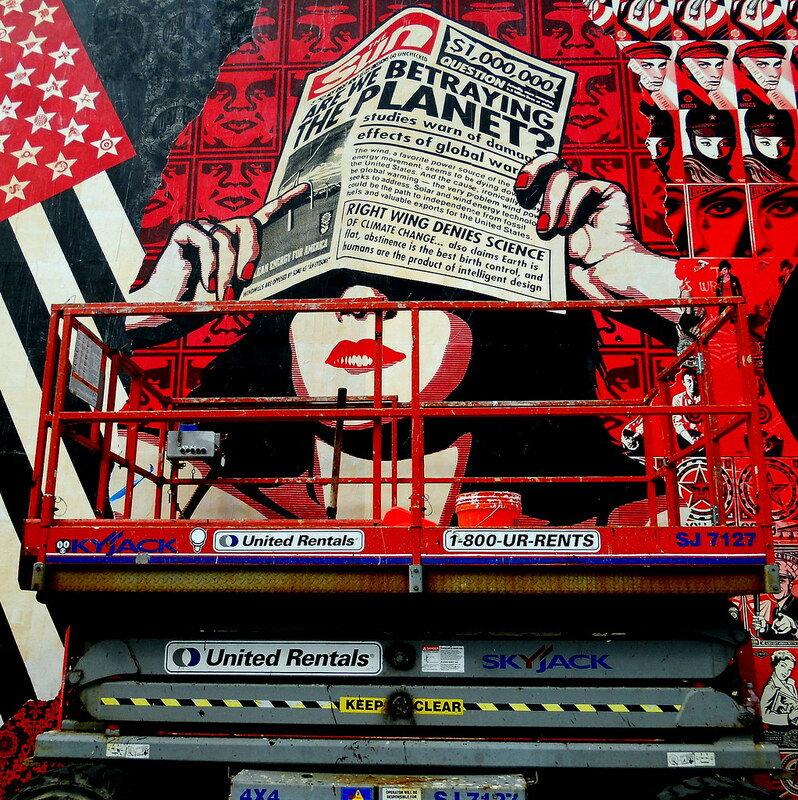 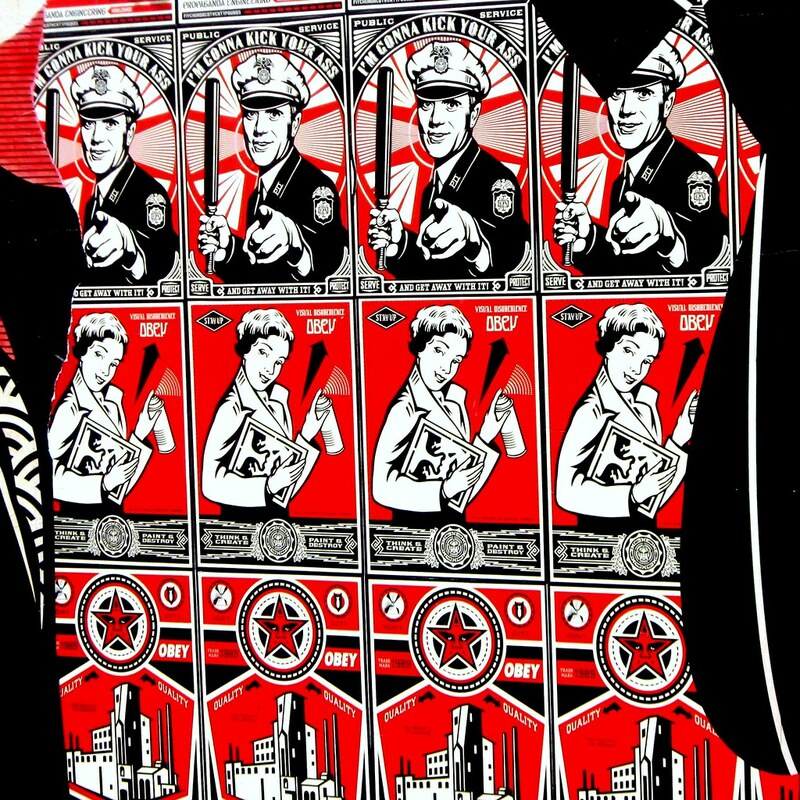 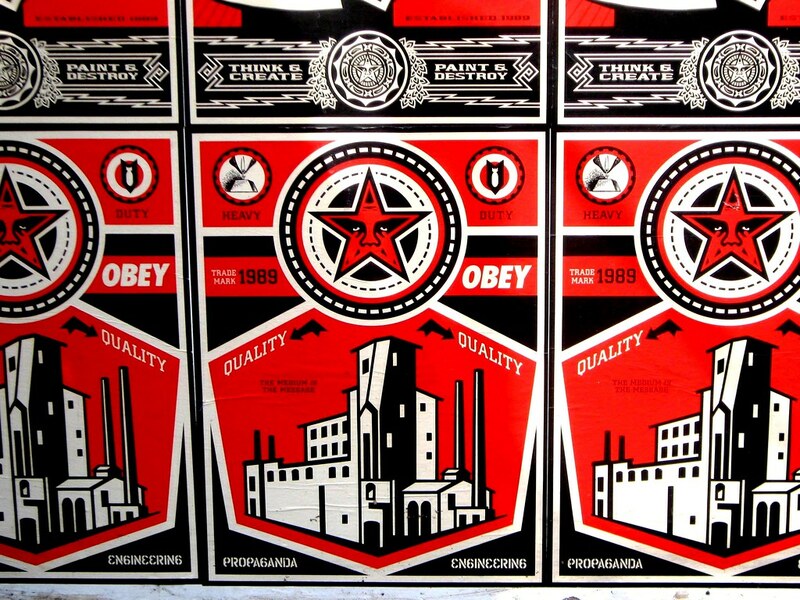 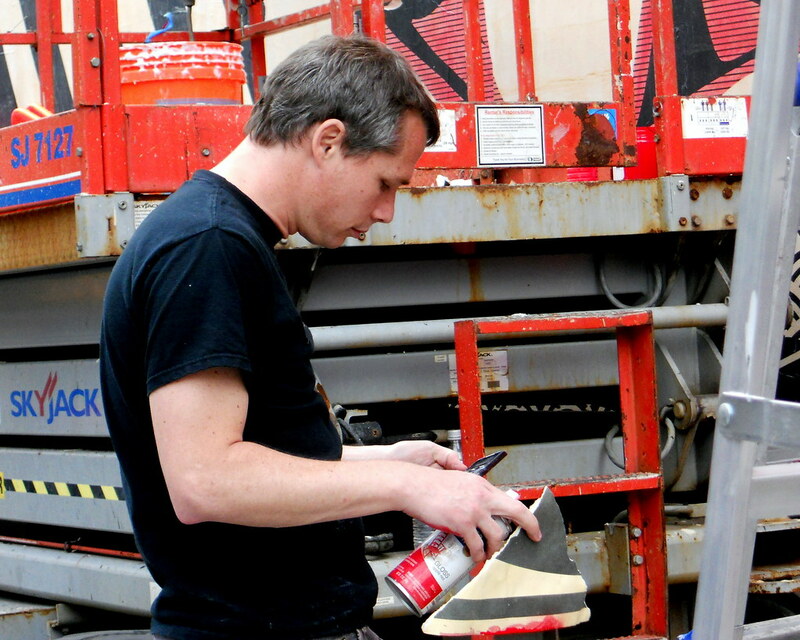 With Shepard Fairey’s “May Day” show opening last Saturday night at Deitch Projects, we’ve decided to take an in-depth look at the mural Shepard and the Obey Giant crew created in preparation of the show. 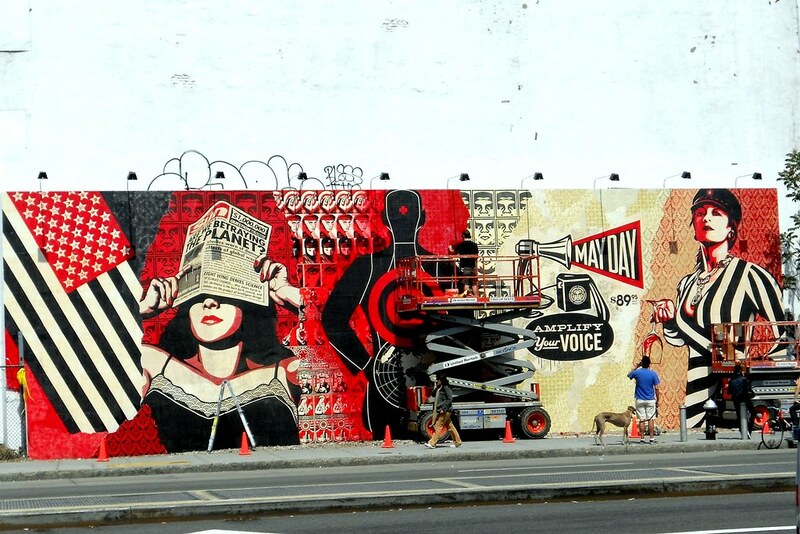 Located at the NW corner of Houston and Bowery, the Deitch Projects wall previously saw a mural by Brazilian twins Os Gemeos, and is now plastered with Shepard’s Soviet Constructivism-inspired, politically fueled, and consumerism-based propaganda. 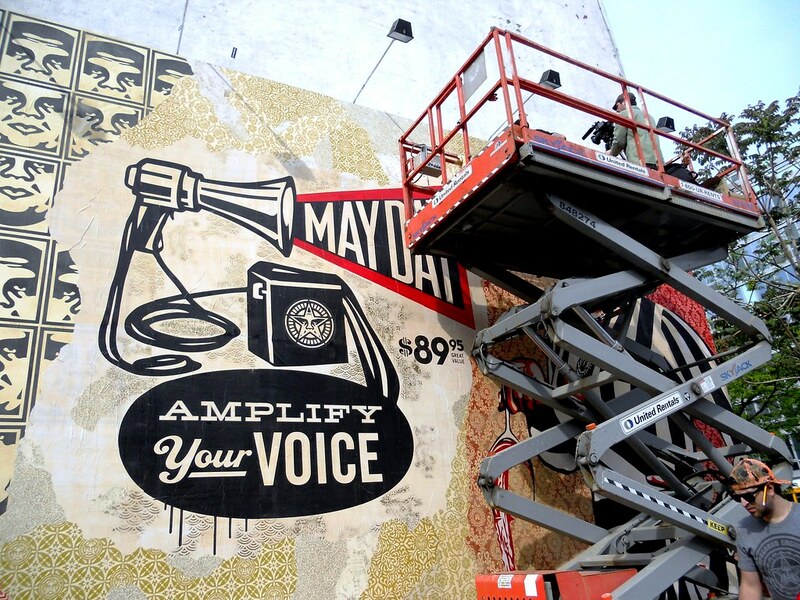 With “May Day” being the final show at the famed gallery before Jeffrey Deitch goes on to his new position as Director of LA MOCA, the future of the wall is unclear. 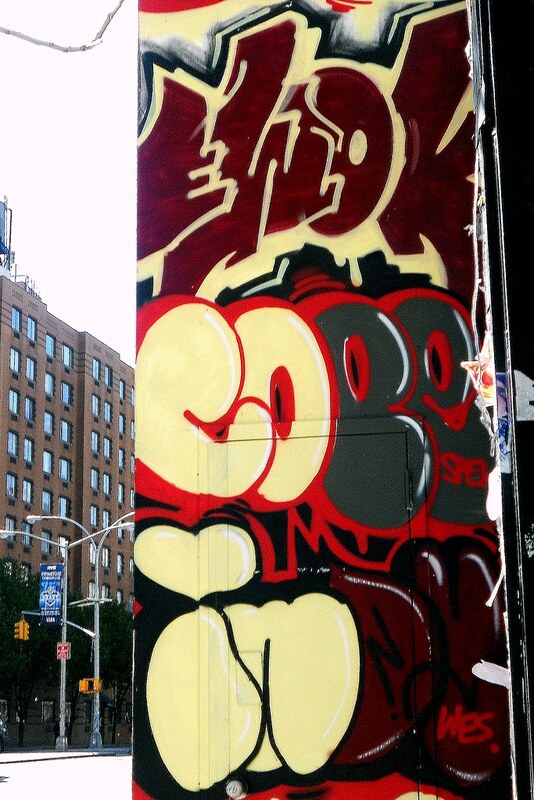 The Shepard collage is a temporary installation, and actually still houses the Os Gemeos mural underneath. 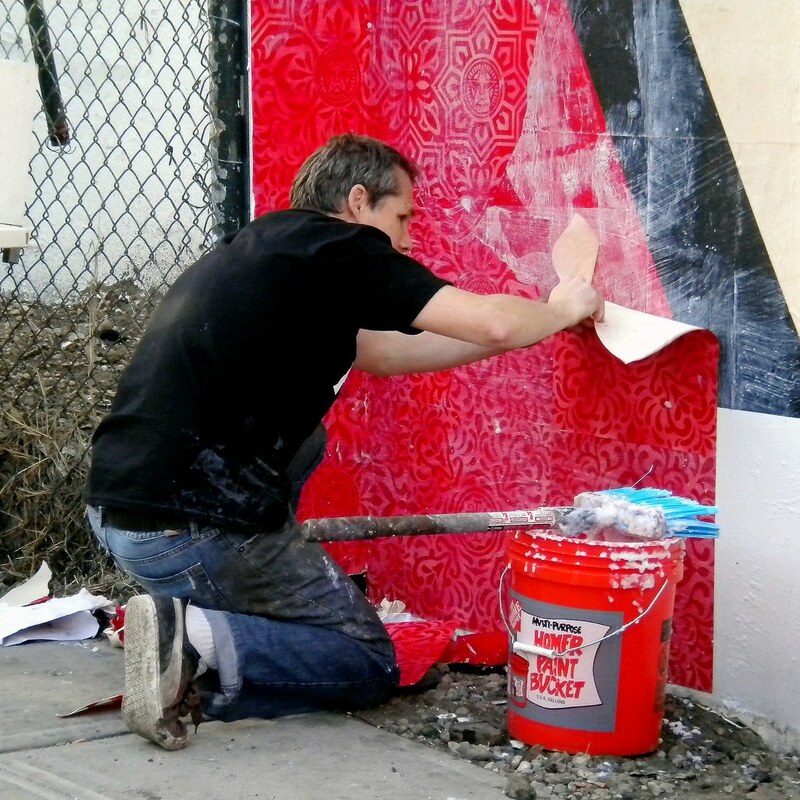 Following the mural’s completion, graffiti legends Cope2 and Ewok tagged the wall’s side panels, photos of which you can view, in addition to the process pictures, below.